Lentils are the underdogs of the pulse, bean and legume food group, the unsung heroes, worthy of more attention and respect. If you’re not integrating lentils into your food world, I have some tips for you. A few easy tweaks in their preparation makes their texture terrific instead of blah (a game changer!) and their flavor zooms up on the dial with a few well-chosen ingredients. 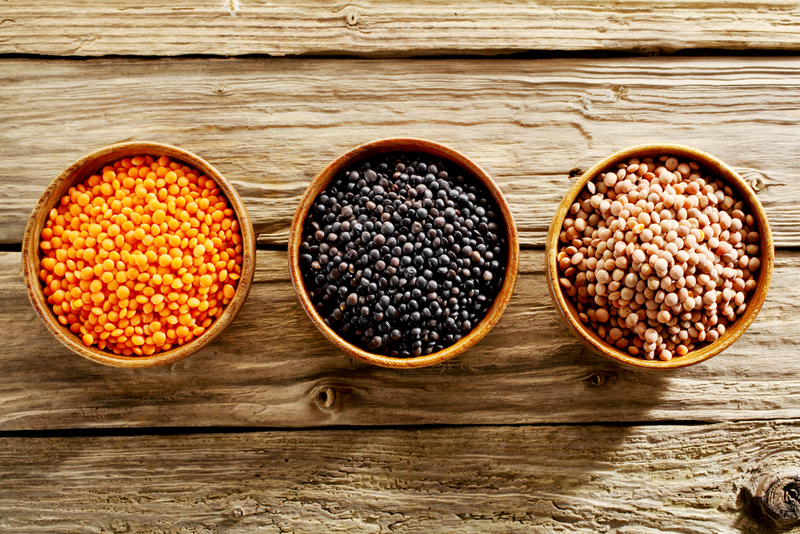 Lentils have been part of the human diet since Neolithic times. Archeological evidence shows they were eaten 9,500 to 13,000 years ago, and that they were one of the first crops domesticated in the Near East. Healthwise, they are a good source of protein, folic acid, dietary fiber, and many trace minerals. In researching The Healthy Mind Cookbook, I learned they are exceptionally good brain food full of brain-friendly B vitamins with folate that helps keep our minds healthy and sharp as we age. Lentils support cognitive functioning (iron), focus (folate) and memory (zinc). Yay, lentils! One of my favorite workshop food demos is a lentil salad recipe. It’s usually easy to find someone who isn’t wild about lentils, because they think they are bor-ing, or worse, mushy :( Ugh. I delight in DAZZLING them with lentils cooked the right way and tossed with bright ingredients, to make for a magically nourishing and utterly delicious mouthful! (Picture the spoon going into their somewhat reluctantly open mouth...the pause… then the involuntary spasm of vocal delight… yummmm!) I invariably gain countless converts to the humble lentil. Lentils are easy to love and incorporate in your repertoire. The Puh or French lentil. I confess, this is my favorite! They are sturdier than brown, and maintain their integrity for improved texture whether in a soup or salad. Black Beluga lentil. Black, glossy and spherical — like caviar! And thus the name. They are extra sturdy and make gorgeous accents in a salad. The red lentil. Perfect for soups, stews and dals where you don’t mind their tendency to break down a bit during cooking, adding an earthy thickness. Even more about lentil varieties from Cook’s Illustrated. There are a few crucial steps, and a couple of choices. To soak, or not to soak? There are two schools of thought. You don’t HAVE to soak, but you DO have to rinse really well. I put lentils in a bowl, add cold water and swish, using my hand like a washing machine. Strain. Rinse again. Strain. Rinse again! You’ll be amazed at what may come out. Foam, sand… Rinse until the water runs clear. I learned this very thorough approach while cooking at the Chopra Center, where lentils are a revered part of the cuisine. 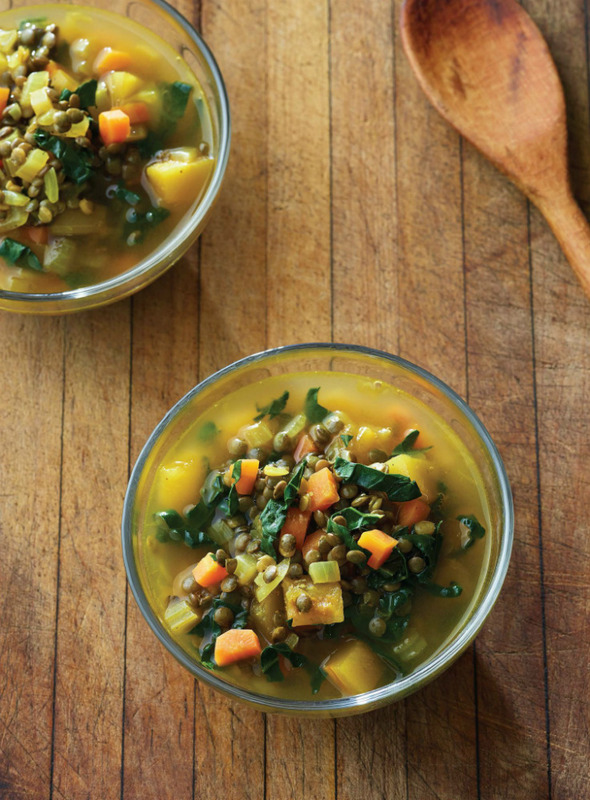 Go straight to cooking, or brine lentils (like your Thanksgiving turkey!). I learned about the latter from Guy Crosby, PhD at the Chan School of Public Health at Harvard, who’s known as the Cooking Science Guy and the science editor for America’s Test Kitchen. Here’s how to brine: Place 1 cup of rinsed lentils in a bowl with 4 cups of hot water and one teaspoon of salt. Allow them to soak for as little as 30 minutes or up to an hour. Rinse well and start the cooking process. Why brine? The brining process makes those lentils come alive, infusing really wonderful flavor into them. It’s a myth that you don’t want to introduce salt to legumes. I have incredible success with this technique. Who knew? For people looking to get a quick and easy source of protein with versatility, lentils are a great way to go. They are a super brain food, much easier to digest that other beans, and fast-cooking. They play well with other foods. They have it all! Curious about other great brain foods? Here are my top 8. They can be cooked and frozen. You don’t want to cook them all the way. Leave them a little al dente. Start with a roasted tray of your favorite vegetables — roasted cauliflower, carrots, sweet potatoes — throw in a cup of cooked french lentils and drizzle with olive oil, a spritz of lemon and some sea salt, THAT’S a really nourishing meal right there. Silicon Valley has promised us that, someday, little nanobots will act like tiny microprocessors in our brains, helping to make us smarter. I say, Why wait? We already have a teensy food that does that. It’s the lentil, the vegetable kingdom’s version of a Lilliputian flying saucer. Lentils, ounce for ounce, pack an amazing amount of brain boosters, such as iron (essential to the function of myelin, which is involved in quick information gathering). With a host of spices, cubed delicata squash, and thinly sliced kale, this is my go-to soup when I’m working hard and need to process a lot of information. Visual appeal is a vital though often ignored aspect of good digestion, as a mouthwatering response to the food on your plate prompts greater production of saliva, which helps break down food from the moment it hits your tongue. When I’m teaching, I like to use quinoa to underscore the importance of appearances. After an unenthusiastic glance at a bowl of cooked plain quinoa, the response is usually “Doesn’t look like much. 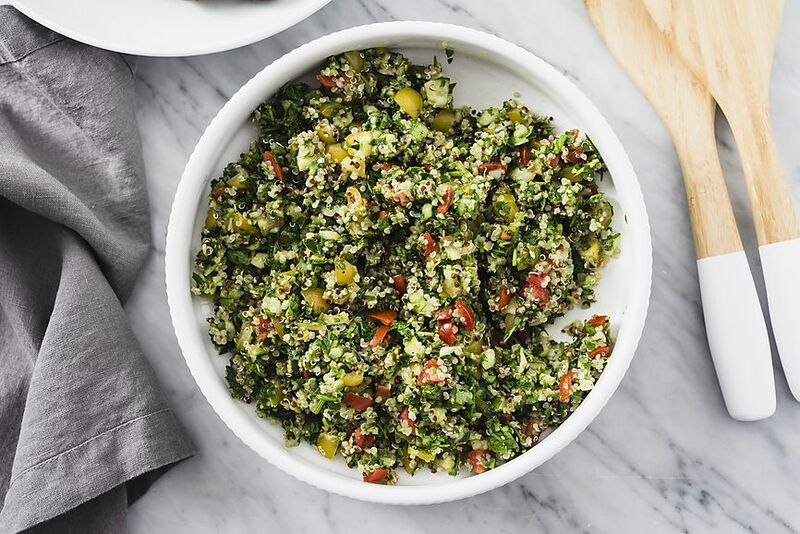 Kinda tan.” Then we go to work on it, studding the quinoa with tiny green lentils and a blast of color from cucumbers, tomatoes, parsley, and mint that gets people excited about this dish. It looks like an edible painting by the time we’re done. Now that’s my idea of art. My first internship when I got out of culinary school was in the kitchen at the Chopra Center for Wellbeing, where they had an entire wall filled with dozens and dozens of spices. I swear that wall looked like a piece of art—in the form of a jigsaw puzzle that I had to figure out. The way you knew you had earned your stripes in the kitchen was when the executive chef finally let you make their famous dahl. Wouldn’t you know, the very first time I made it, an honest-to-goodness Indian saint had come to visit. There are rules regarding saints, and at mealtime, the first and foremost is that no one can try the dahl before she does. I must have done something right, because she tasted, smiled, and kissed me gently on the forehead. I treasure that memory, and also appreciate the experience of making that dahl because it taught me that spices—which have phenomenal healing properties—can be the heart of a dish, rather than an add-on to enhance flavor. Here, the blending of spices is what really gives this dish its power, both nutritionally and on the palate.